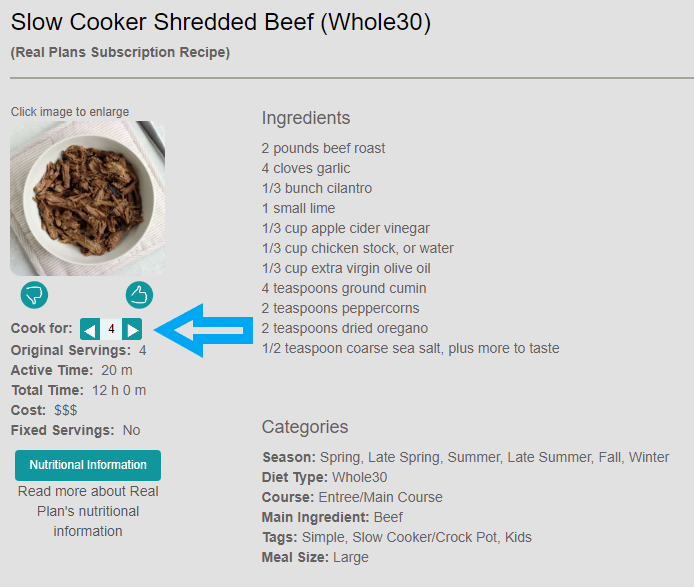 Once you have selected the number of servings you need, you will then see the ingredients adjust while the “Original Servings” number remains the same. 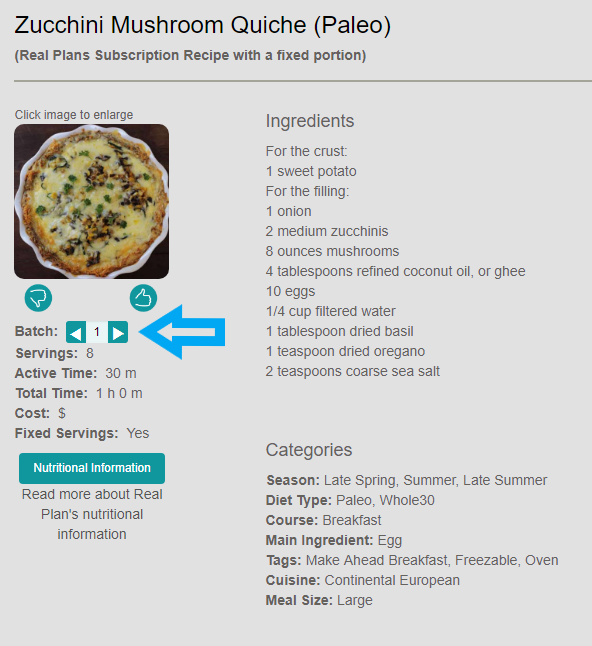 (The Original Servings number is the number of servings for which this recipe was originally written and does not change when you adjust the servings for a meal.) Your shopping list will be updated accordingly to reflect the ingredient amounts that you now need for this recipe.